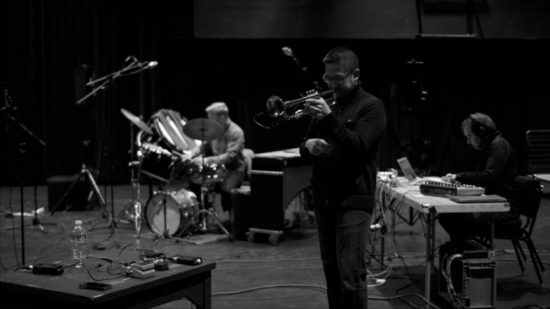 You could credit a kind of musical peer pressure for the earliest electronic experiments of trumpeter-cornetist Rob Mazurek and trumpeter Cuong Vu. 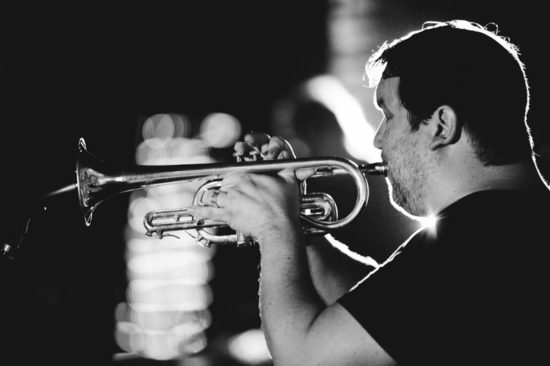 Mazurek, renowned for his work with experimental groups from Chicago and Brazil, was a member of Isotope 217°, a spin-off of the post-rock group Tortoise; Vu, a celebrated avant-jazz bandleader and an alum of the Pat Metheny Group, was playing in a college fusion band. Both discovered that their raw horn sound didn’t allow them to blend with the range of timbres available to their guitar, synth and electronics-playing cohorts. “I was trying to figure out a way to broaden the sound spectrum with an instrument that can only play one note at a time,” Mazurek says, while Vu simply shrugs, “I just didn’t feel like my sound fit very well.” As it happens, both took their first steps into effects by plugging their microphones into a BOSS delay pedal, and both recall remarkably similar reactions. Rob Mazurek uses electronics by Industrial Music Electronics (The Harvestman), including their Tyme Sefari Mark II 16-Bit Loop Sampler Module (with official expander, A Sound of Thunder) and Piston Honda MKII Wavetable Oscillator; Make Noise, including their Maths, Phonogene and Echophone (soundhack) units; and Doepfer, including their A-124 VCF5 Wasp Filter Eurorack Module and A-100 Analog Standard Systems. Cuong Vu’s rig includes the Audio-Technica ATM35 Cardioid Condenser Clip-on mic, Danelectro DJ14 Fish and Chips 7-Band EQ Pedal, Lexicon MPX100 Effects Processor, BOSS DD-20 Digital Delay and DigiTech Echo Plus 8 PDS 8000.